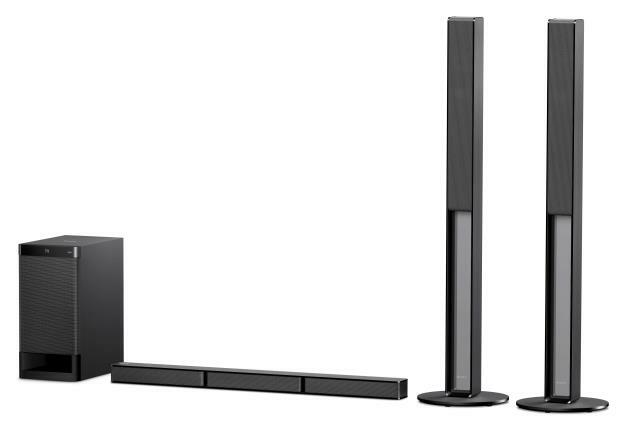 Extending its premium Home Audio line-up, Sony India today launched its stylish new home theatre system – HT-RT40. Driven by innovation, the soundbar type 5.1 channel home theatre is capable of creating cinematic surround sound delivering an energetic listening experience. 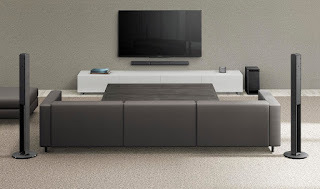 The advancement of the line-up can be attributed to the increasing demand of soundbar type 5.1 channel home theatres in India market and the need to experience a cohesive surround sound experience. HT-RT40 comes withIndian sound setting which has powerful bass surround sound and is specially designed for Indian consumers. This new addition in the soundbar type 5.1 channel home theatre category has a sleek bar design yet powerful sound that gels well with looks of your living room. Enabling a cinematic experience, the 5.1channel Real surround sound creates an immersive environment, delivering a phenomenal 600W of power through Tall boy and rear speakers. The dedicated external subwoofer works with a 3 channel Soundbar delivering true theatre surround sound. The two rear speakers ensure real cinema audio like experience at home with great sound. 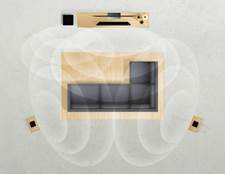 Adding to the seamless connectivity, the sound bar is enabled with one touch wireless connectivity with NFC and Bluetooth and can be easily synched to BRAVIA TV’s. With Bluetooth, one can also enjoy music playback streamed wirelessly from the smartphone. 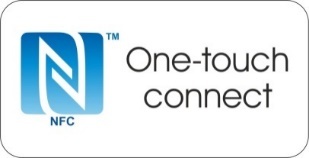 One-touch connection via NFC technology further removes the need for complex set-up sequences. 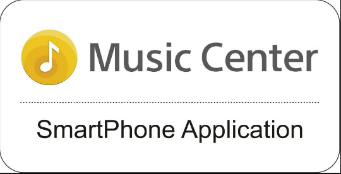 To deliver better experience, customers can browse music list of pen-drive from faraway place easily through the Music Center without looking at the monitor. Supported by Android and iOS devices, this application concept is called ‘Smart remote commander’. Equipped with intuitive operations, customers can surf music in pen-drive from far away and enjoy their favourite songs through Music Center. HT-RT40 is a perfect member of a sophisticate home setup. 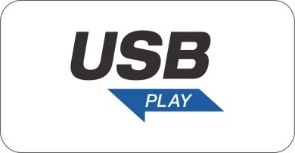 One can enjoy a stable connection for smartphones, tablets and USB sticks or play MP3 files using the USB port available in the system. The new home theatre comes with HDMI-out x 1 and can be flawlessly synched with BRAVIA TVs. This feature offers consumers an opportunity to experience a wholesome audio treat. Designed to perfectly match the concept of clean living room, the slim design adds value to the living space. Sleek and compact, the soundbar complements the look of today’s thin flat screens, while projecting a deep, rich, enveloping sound. Simply plug it in to the TV via HDMI, wire up the speakers via the colour-coded clip connections. HT-RT40 is accompanied with Tall boy speakers giving a real cinema experience. A subwoofer and five speakers are supported by 600W of total RMS powerful surround sound. For enhanced High-Resolution Audio, the S-Master HX digital amp delivers precision at high frequency ranges. The ClearAudio+ on the other hand automatically adjusts TV sound settings for an immersive listening experience. The product will be available in all Sony Center and major electronic stores across India.